O2 have launched a new 3G service in “key cities” which promises improved reception, higher network capacity and faster download speeds. All of the UK’s major networks (3, O2, Orange, T-Mobile and Vodafone) currently offer a high-speed 3G service for smartphones and mobile broadband dongles. At present, all of these 3G services operate using radio waves of frequency 2100MHz following the 3G spectrum auction of 2000. With more and more people using 3G-enabled phones, OFCOM liberalised spectrum usage in 2010 so that the networks could begin using their old 2G spectrum (900MHz and 1800MHz are used for 2G services) to run 3G services as well. We’ve got a detailed guide to the key mobile technologies and frequencies used in the UK. This week, O2 launched the UK’s first 3G service running at 900MHz. The new service is available in “key cities” including London, Leeds, Birmingham and Manchester. 1 What are the benefits of a 3G service at 900MHz? 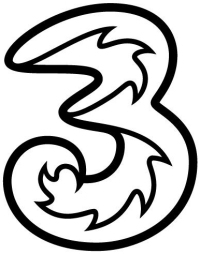 2 Who will be able to benefit from O2’s new 3G service running at 900MHz? 3 What about customers on other networks? 4 Why are Three unhappy about O2’s new service? 5 Where can I find out where local masts are and what technology they use? 6 Where can I find out more about O2 and it’s 3G service? What are the benefits of a 3G service at 900MHz? The main benefit of operating a 3G mobile network with lower frequency radio waves (900 MHz instead of 2100 MHz) is that the range of the 3G signals are increased. 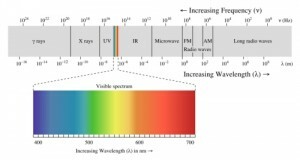 This is because higher frequency radio waves don’t travel as far – they are absorbed and reflected by the atmosphere much easier. The BBC is an example of a organisation which wisely makes use of this property of radio waves: the BBC World Service is broadcast on a low frequency wave (198khZ; equivalently 0.198MHz) whereas BBC Radio 1 is broadcast at a much higher frequency (~98MHz). Considering that the World Service is aimed at listeners across the world, we see that the radio waves from World Service need to travel much further than those from Radio 1 which has a UK-based audience. Hence, a low broadcast frequency makes sense for World Service. For consumers, the key benefits of a 3G service running at 900MHz should be “more bars in more places” (improved reception as well as reception in more places). For operators such as O2 it cuts the cost of providing a 3G signal as they need to use fewer masts to cover the same geographical area (this is especially important in rural areas where a low population density may have meant 3G at 2100MHz was economically unviable). According to O2, the new 3G service at 900MHz will increase their network capacity by 50% and improve download speeds by up to 30%. It remains to be seen whether this results in a noticeable improvement for O2 customers. Who will be able to benefit from O2’s new 3G service running at 900MHz? According to O2, the new 3G service running at 900MHz has been turned on in “key cities” including London, Leeds, Birmingham and Manchester with “other cities set to follow in the coming months”. Customers using O2 or one of O2’s virtual network operators (Tesco Mobile and Giffgaff) should be able to benefit from the new service providing they have a compatible phone. 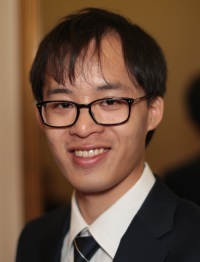 Many modern smartphones including the iPhone 4, HTC Desire and Samsung Galaxy S are compatible with the new 3G at 900MHz service. To find out whether your phone is compatible with 3G at 900MHz, look for something along the lines of “HSPA 900”, “UMTS 900”, “3G 900” or “WCDMA 900” on the specification sheet of the phone. What about customers on other networks? Vodafone customers are likely to see a 3G service running at 900MHz soon. Customers of other networks won’t see a 3G service at 900MHz. Vodafone currently operate a 2G service at 900MHz & 1800MHz as well as a 3G service at 2100MHz. Vodafone have plans to launch a 3G service at 900MHz but there is currently no timeframe for this. Orange and T-Mobile currently operate a 2G service at 1800MHz and a 3G service at 2100MHz. As they do not own any spectrum in the 900MHz band, they cannot launch a 3G service at 900MHz. They may choose to launch a 3G service at 1800MHz but the benefits of 1800MHz over 2100MHz are much smaller and very few phones support 3G at 1800 MHz. Three only provide a 3G service at 2100MHz. Hence, Three will not be providing a 3G service at 900MHz as they do not have the rights to use the 900MHz spectrum. Why are Three unhappy about O2’s new service? By opening up these existing frequencies to 3G services without re-auctioning or re-allocating them, or making a clear commitment as to how similar frequencies will be made available in future, Ofcom and the Government are jeopardising the whole competitive environment that the 3G auction in 2000 started to establish… Ofcom and the Government must address the significant competitive distortions they have now created in pushing through the re-farm of spectrum currently used for 2G mobile services. Three paid £4.4bn for their 3G license in 2000. Whilst we believe that the opening of the 900MHz spectrum and 1800MHz spectrum for a 3G service is undoubtedly a good thing for O2 and Vodafone and their customers, we think it’s important to keep an eye on whether the UK mobile industry will remain competitive in the coming year. Given that only O2 and Vodafone can launch a 3G service at 900MHz and benefit from all the associated cost savings, it remains to be seen how Orange, T-Mobile and Three will respond to this competitive disadvantage. 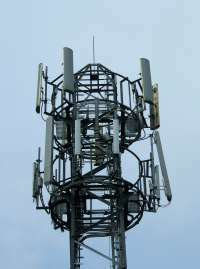 Where can I find out where local masts are and what technology they use? The OFCOM Sitefinder service will show you a map of phone masts in the nearby area and information such as the height of the mast, how much power they use and the frequencies/technologies used by the mast. 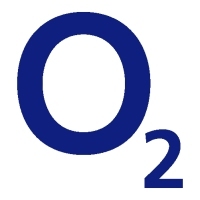 Where can I find out more about O2 and it’s 3G service? O2 currently provide a range of 3G smartphone tariffs and 3G mobile broadband products which are available through their website.